A total of twenty six businesses have been shortlisted in the trio of high-profile Action Plan Showcase Competitions. 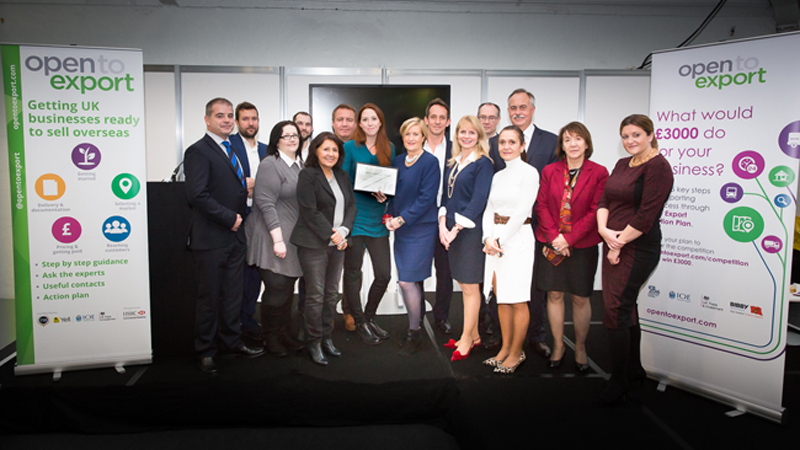 Eight finalists in the food and drink sector will present their plans for international business growth at The International Food & Drink event at ExCel on March 20, at the Department of International Trade (DIT) Export Hub. Two days later eight companies based across the east of England will go before a panel of judges at the Moller Centre in Cambridge as part of DIT’s export bootcamp event and, on March 30, ten businesses in the creative and tech sector will outline their export vision at Tech UK. The winner of each competition will be presented with £3k cash funding - courtesy of SDL Managed Translation and Heathrow Airport Limited - a £3k website package from Yell and two free places on an Institute of Export & International Trade public training course worth £700. The finalists have created their Export Action Plans through Open to Export’s innovative digital business planning tool, which is part of a website dedicated to helping new and inexperienced businesses prepare to sell internationally by giving them unlimited free access to information, support and advice. Helping companies to make decisions along each step of their exporting journey – from selecting a market to delivering products or services to new customers – the tool provides additional wide-ranging support. Once complete, it produces a report in an easy to read format, which is perfect for sharing with international trade advisers or banks to better inform export planning conversations. Each of the shortlisted companies will benefit from a year’s free small business membership with the Institute of Export & International Trade and a web translation voucher from SDL Managed Translation. Sponsored by the Department for International Trade (DIT), Heathrow Airport Limited and SDL Managed Translation, the judging panel comprises Lesley Batchelor OBE – CEO of Open to Export and Director General of the Institute of Export & International Trade, Julian Hucker – entrepreneur and Chairman of Open to Export, Tony Lamb – Director of the Department for International Trade, Robert Gordy -– CEO of SDL Managed Translation, Ben Crowley – Head of Food and Beverage for Heathrow Airport Limited and Nicola Thomas, Director, FDEA. For more information visit http://opentoexport.com/info/export-action-plan-competition/ for information and a video of one of our previous competitions.